A Silver Alert has been canceled for a 9-day-old baby and her mother after the mother and baby were found safe. 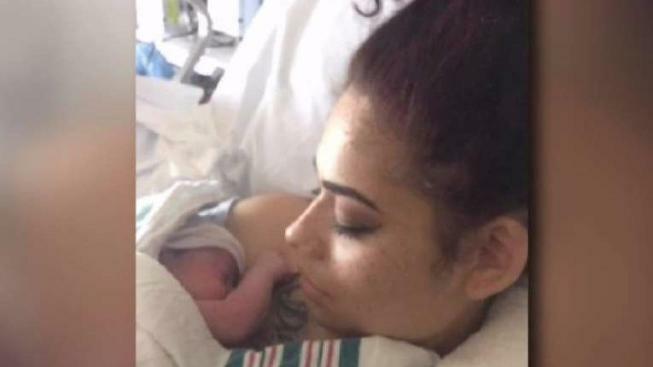 Meriden police were trying to locate 9-day-old Esperanza Lopez and her mother, 23-year-old Ashley Correa-Graham, who were reported missing Monday. On Wednesday, police said the baby was safe and placed in DCF custody. The mother is also safe and working with DCF, police said. Meriden police previously said that they were looking to check on the well-being of Lopez and that the Department of Children and Families was involved. "Many checks and balances take place when the Department makes an assessment that a child must be removed due to immediate danger to the child's safety. The authority to remove a child stems from an independent order from a juvenile court judge. All the parties are represented in court by counsel, and the Attorney General's Office, which represents the Department in court, will not bring an action unless sufficient evidence exists to warrant the court order. The Department works hard to prevent placing children in foster care, but there are circumstances that require it to protect a child and keep him or her safe." Editor's note: The article above has been updated to reflect the correct spelling of Ashley Correa-Graham's name. Police initially identified her as Correra-Graham.